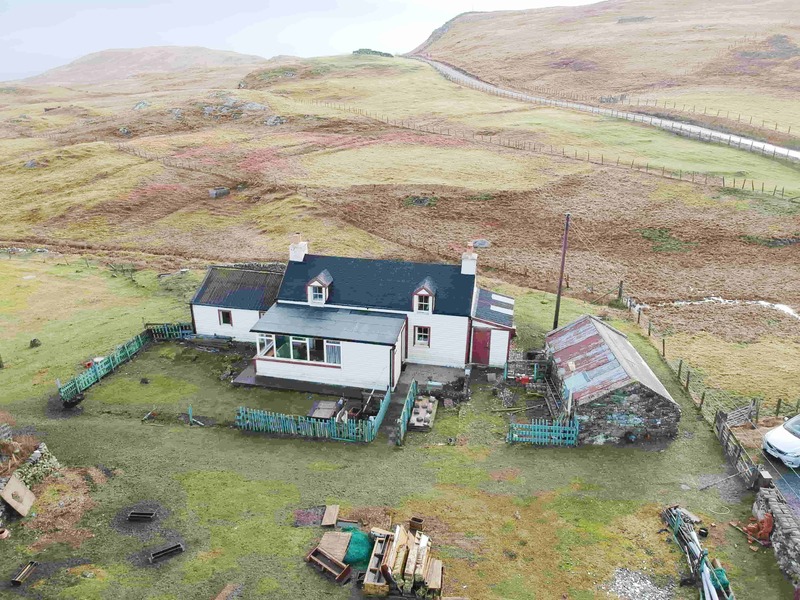 Shetland Property for Sale or Let - Michael Inkster & Co Solicitors - Solicitors, Estate Agents, Notaries. Rent - £450 - £600 per week. MODERN FOUR STAR, SELF-CONTAINED, SPACIOUS AND FULLY FURNISHED APARTMENT AVAILABLE FOR SHORT-TERM LETS. NEWLY FURNISHED AND UPGRADED MAY 2010. IDYLIC RURAL LOCATION CLOSE TO LOCAL SEA AND FRESHWATER FISHING SPOTS WITH SEALS, SEABIRDS AND OTHER WILDLIFE VISIBLE FROM PROPERTY. ALSO, ONLY A SHORT BOAT RIDE AWAY FROM THE ISLAND OF MOUSA (2 MILES SOUTH, WITH ITS IRON AGE BROCH) ACCLAIMED AS THE TOP ATTRACTION IN SCOTLAND IN THE ROUGH GUIDE TO SCOTLAND (7TH ED.). JARLSHOF (AN EXCEPTIONAL ARCHAEOLOGICAL SITE), SLIGHTLY FURTHER TO THE SOUTH, COMES IN AT NUMBER 3 IN THE GUIDE, SO THIS REALLY IS AN IDEAL BASE FROM WHICH TO EXPLORE SHETLAND AND ITS ATTRACTIONS. HILL WALKING AND OTHER OUTDOOR PURSUITS ARE ALSO ON YOUR DOORSTEP. MAKE SHETLAND YOUR NEXT PORT OF CALL! ON THE GROUND FLOOR:- SPACIOUS HALLWAY; LARGE BATHROOM. ON THE FIRST FLOOR:- SPACIOUS OPEN PLAN LIVING ROOM/KITCHEN (FULLY EQUIPPED WITH LCD TV, MICROWAVE ETC); BEDROOM; BOX ROOM/STORAGE AREA AND ADDITIONAL STORAGE CUPBOARDS. DETACHED TWO BEDROOM MODERNISED COTTAGE SITUATED IN IDYLLIC SEAFRONT LOCATION IN MID YELL WITH SPECTACULAR SEA VIEWS. THE HOUSE, WHICH IS SITUATED CLOSE TO LOCAL AMENITIES, IS FULLY ENCLOSED WITH A POST AND WIRE FENCE AND THERE ARE TWO GARDEN SHEDS, ONE LARGE AND ONE SMALL, EACH WITH POWER AND LIGHTING. THE HOUSE IS FULLY DOUBLE-GLAZED AND IS HEATED WITH OIL-FIRED CENTRAL HEATING. ATTRACTIVE, WELL PRESENTED, MODERN, DETACHED HOUSE IN IDYLLIC COASTAL LOCATION WITH UNINTERRUPTED SEA VIEWS. FULLY DOUBLE-GLAZED, WITH UNDERFLOOR HEATING. WITHIN EASY COMMUTING DISTANCE OF BRAE AND SULLOM VOE. FULLY-ENCLOSED SITE WITH LAWN AREAS, DRIVEWAY AND LARGE INTEGRAL GARAGE. IDEAL FAMILY HOME OR BUY-TO LET. VIEWING HIGHLY RECOMMENDED. TO VIEW TELEPHONE 07748 869521 OR 07593 517164. 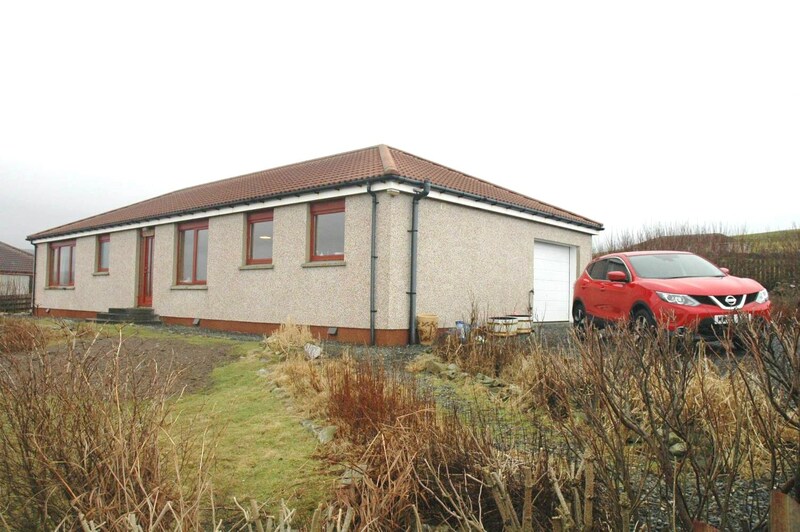 IDEALLY LOCATED, TWO-BEDROOM, DETACHED HOUSE WITH SINGLE-GLAZING SITUATED IN A SCENIC RURAL LOCATION CLOSE BY THE SEA WITH EXCELLENT VIEWS. WITHIN AN EASY COMMUTING DISTANCE OF LERWICK AND SULLOM VOE. OUTBUILDINGS INCLUDED. THE ENCLOSED SITE EXTENDS TO 0.712 HECTARES AND IS BELIEVED TO BE NON-CROFT LAND. THE HOUSE IS IN A SEMI-DERELICT STATE AND A FULL REFURBISHMENT OR DEMOLITION WILL BE REQUIRED. 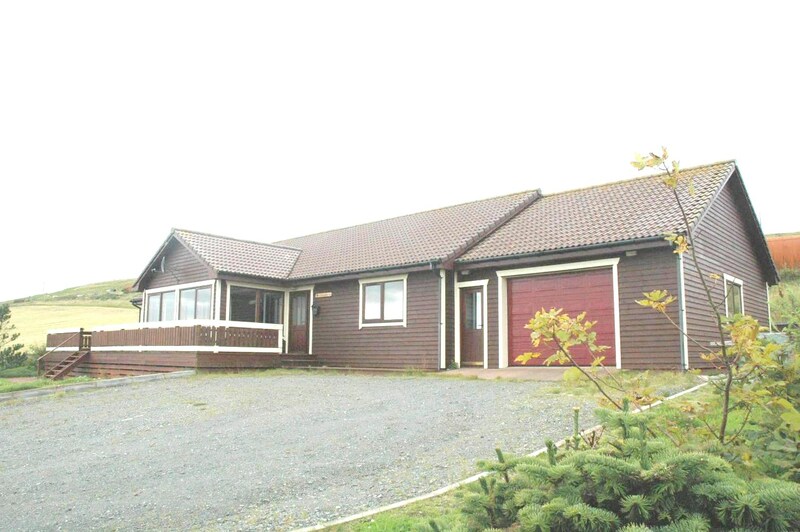 ATTRACTIVE, WELL PRESENTED, MODERN, DETACHED HOUSE IN IDYLLIC COASTAL LOCATION WITH UNINTERRUPTED SEA VIEW. FULLY DOUBLE-GLAZED, WITH OIL-FIRED CENTRAL HEATING. FULLY ENCLOSED SITE WITH LARGE GARDEN AT FRONT AND REAR. INTEGRAL GARAGE. DRIVEWAY/PARKING AREA AND DRYING GREEN. 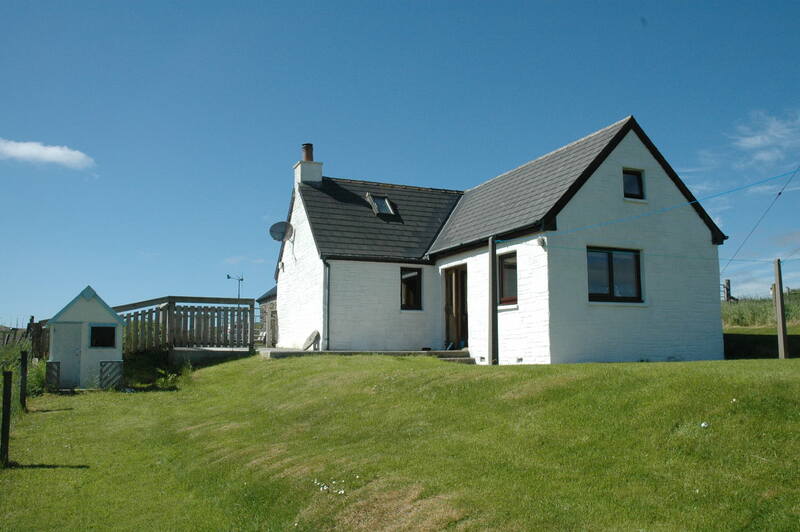 ONLY 12 MILES FROM LERWICK AND WITHIN COMMUTING DISTANCE OF BRAE/SULLOM VOE. IDEAL FAMILY HOME OR ‘BUY-TO-LET. VIEWING HIGHLY RECOMMENDED. TRULY SUPERB FOUR STAR, NEWLY FURNISHED PENTHOUSE APARTMENT WITH OUTSTANDING PANORAMIC VIEWS OVER LERWICK HARBOUR. EXTREMELY SPACIOUS APARTMENT IN THE HEART OF LERWICK'S OLD TOWN IN A QUIET BUT CONVENIENT LOCATION. A SHORT STROLL FROM ALL LOCAL AMENITIES AND LERWICK’S BUSINESS CENTRE - A TRULY EXCELLENT BASE FOR DISCOVERING SHETLAND. COMPLEMENTARY WIRELESS BROADBAND, ALL USUAL MOD-CONS AND THREE LCD TV’S ALL WITH FREEVIEW - THE DISCERNING CHOICE FOR BUSINESS/PLEASURE VISITORS ALIKE. NEWLY RE-FURBISHED CONTEMPORARY, AIRY APARTMENT IN PRIME CENTRAL LOCATION NEAR LERWICK’S SEAFRONT. ALL LOCAL AMENITIES INCLUDING SHOPS, RESTAURANTS ETC AND LERWICK’S BUSINESS CENTRE RIGHT ON YOUR DOORSTEP. ALL USUAL MOD-CONS INCLUDING 2 LARGE LCD TV's WITH FREEVIEW AND COMPLIMENTARY WIFI. QUALITY FURNISHINGS THROUGHOUT. A TRULLY EXCELLENT BASE FOR EXPLORING SHETLAND. THE DISCERNING CHOICE FOR HOLIDAY AND BUSINESS VISITORS ALIKE. STB GRADING AWAITED BUT FOUR STAR RATING ANTICIPATED. This stunning, contemporary, two-bedroom, first-floor, harbourside apartment was newly constructed in Sep 2011. It has been furnished and equipped to an extremely high standard with solid oak furniture throughout. This beautifully presented apartment is spacious and airy and enjoys lovely sea views over Lerwick’s regenerated waterfront and the Island of Bressay. The property is a short stroll from all local amenities, including the Museum, Town Hall, Leisure Centre, Mareel (new Cinema/Music Venue) and local parks. There are also numerous restaurants and take-away facilities, a 12-hole golf course and many scenic coastal walks on your doorstep. This quality, central apartment truly is the ideal home-from-home for those holidaying or working in Shetland. Ample free parking available. Serviced lets by arrangement. Harbour View is the discerning choice for both business and pleasure visitors alike. Tel 07753 842169(M), 01595 696901(W) or 01950 477633 (H) or email michaelinksterandco@lineone.net for further details and availability. This is a quality 4-bedroom detached villa with a large garden and magnificent harbour views. The property, which has a separate dining room/study for added comfort, is situated in a peaceful but central residential location by the sea in Lerwick’s old town. The villa was completely refurbished in 2012, has full central heating, a wood-burning stove and there is quality solid oak/leather furniture throughout. This is an ideal-sized property for families and larger groups looking for quality accommodation in the heart of Lerwick. A short stroll along the seafront brings you to all local amenities, including local restaurants, the Museum, Clickimin Leisure Centre, Mareel (new Cinema/Music Venue) and much more. We are open all year round and generally operate Saturday to Saturday bookings during peak season (May to September inclusive). Shorter stays during non-peak times will also be considered. Our standard weekly rate is from £600 - £1,800 (£85.71 - £257.14 per night). Harbour View ..... the discerning choice for both business and pleasure visitors alike. CLOSING DATE FIXED FOR WEDNESDAY 27TH JUNE AT 12 NOON. A RARE, IF NOT UNIQUE, OPPORTUNITY ARISES TO ACQUIRE A CENTRALLY LOCATED HOUSE SITE IN HAMNAVOE, BURRA ISLE. THIS PLOT, ON WHICH THE NOW DEMOLISHED SUNNYSIDE COTTAGE WAS FORMERLY BUILT, EXTENDS TO 0.081 HECTARES APPROX. BEING THE SITE OF A FORMER HOUSE IT IS UNDERSTOOD THAT ALL SERVICES ARE CLOSE AT HAND, THOUGH PROSPECTIVE PURCHASERS SHOULD MAKE THEIR OWN ENQUIRIES IN THIS REGARD. THE SITE IS SITUATED ONLY A SHORT STROLL AWAY FROM THE VILLAGE AMENITIES INCLUDING THE LOCAL SHOP/POST OFFICE, PLEASURE BOAT MARINA, VILLAGE HALL AND MUNICIPAL PLAYING FIELD. HAMNAVOE IS ALSO IDEALLY LOCATED FOR ANYONE COMMUTING, WITH LERWICK ONLY A 15-MIN DRIVE AWAY TO THE EAST AND SULLOM VOE APPROXIMATELY 25/30 MINS TO THE NORTH. THE SITE HAS BEEN REMOVED FROM CROFTING TENURE AND OUTLINE PLANNING CONSENT HAS BEEN GRANTED – REF 2013/375/PPP. THE PLOT IS SITUATED DIRECTLY OFF THE PUBLIC ROAD. ALL OFFERS SHOULD BE SUBMITTED IN WRITING FROM A SCOTTISH SOLICITOR TO THE SELLING AGENTS. PRICE - OFFERS IN EXCESS OF £50,000. VIEWING - PROSPECTIVE PURCHASERS SHOULD SIMPLY ATTEND AT THE SITE THOUGH A SITE PLAN IS AVAILABLE ON REQUEST.